Nick Bell has been invited to contribute a paper reflecting on the recent work of Early Lab with the NHS, to She Ji the Journal of Design, Economics and Innovation at Tongji University, Shanghai. The special issue of the peer reviewed journal his paper will appear in will be edited by Ezio Manzini whom he partnered with on Manzini's Cultures of Resilience (CoR) meta-project at UAL while they were both UAL Chair Professors. The theme will be the one discussed at the CoR seminar at CSM on 1 July: how art and design is collaborating to rebuild communities-in-place. 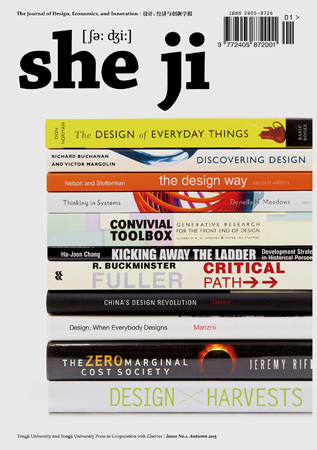 Of the 13 UAL speakers at the 1 July seminar, Nick is one of five to contribute papers to She Ji. The special issue of the journal will be published in June/July 2017.